This is Scar. 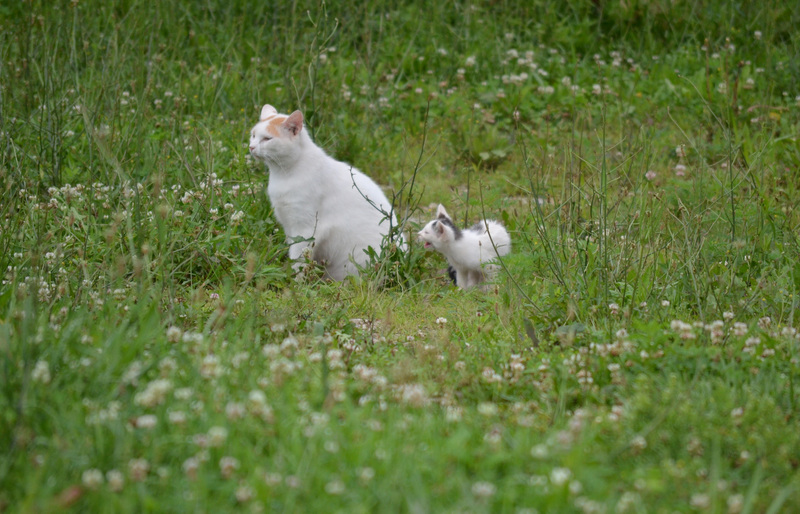 Before being neutered he fathered many cats on the farm, including Spirit. He is one of the colony bosses, along with Misfit. 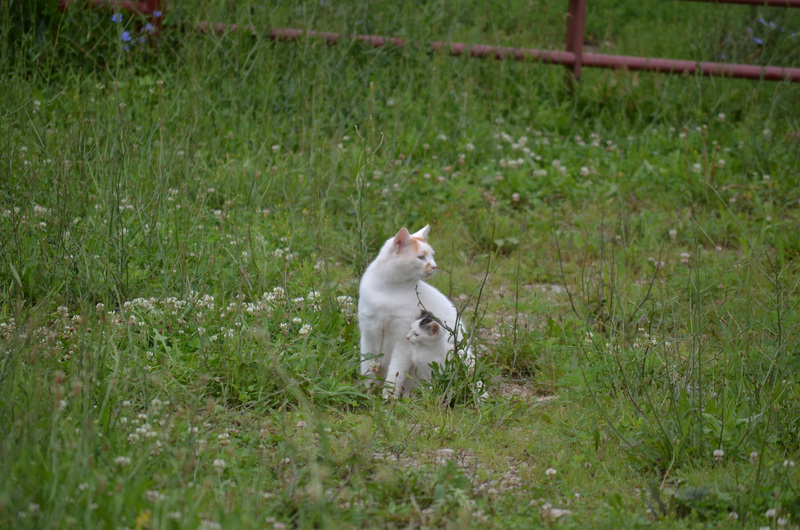 This summer Shy had a litter of kittens and it is unknown whether these kittens were related to Scar. But, Scar has a soft spot for kittens and they were often seen sunning and sleeping alongside him. The boss man introduces them to a life of crime early, he is a smart man. It is interesting to see cats of different generations interact. Intergenerational interaction is something we usually don’t experience with cats in our homes.